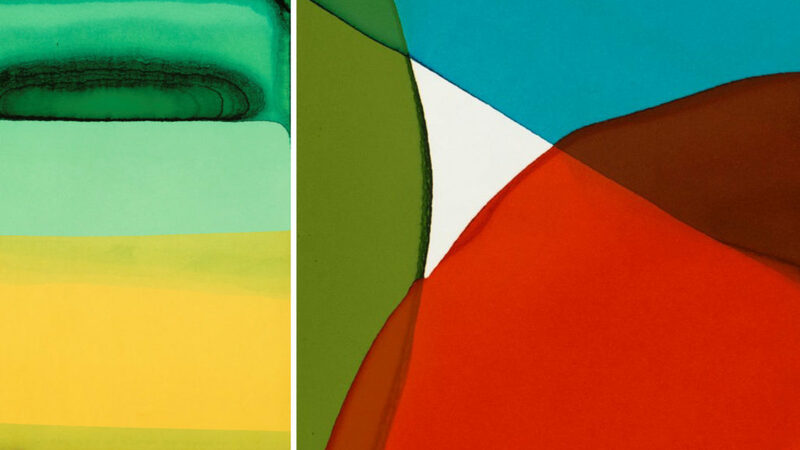 Watercolor artist Wendy Briggs Powell will discuss her latest work in her exhibition, “Color–flow and form,” on view until November 9. My watermarks evolved as a reaction against the the sterile environment of the computer screen and the expectations of perfection that arise when creating with today’s technology. I needed a more sensual process of working—one that connected my heart, head and hands, while also serving as a method for expressing my lived experience. In making watermarks, I submerge large sheets of paper into various sized and shaped containers of dyed water. The process flows organically as a conversation with both the materials and the elements of design (color, form, line, space, scale), where my hand is guiding and allowing but it’s the water that leaves the mark. The marks mirror for me an internal emotional state and allow me to reflect on how I am living my life. This imperfect and unpredictable process allows for surprises and is a practice in giving up control and working with the way things are.